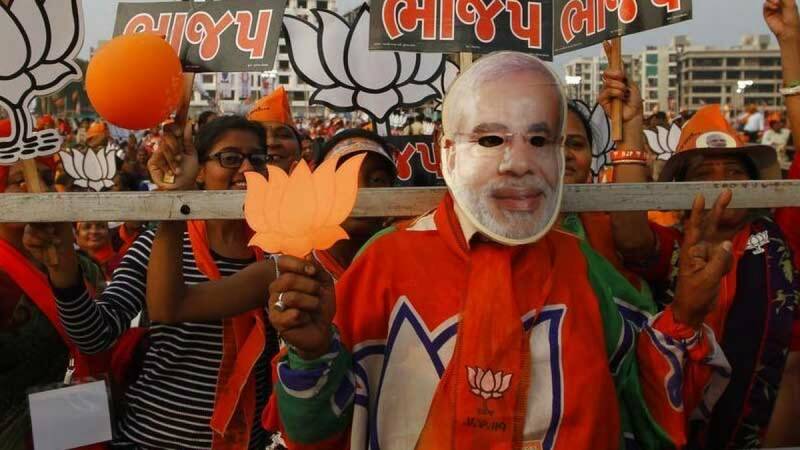 New Delhi : The BJP on Monday retained Gujarat and wrested Himachal Pradesh from Congress, taking the total number of states where it is in power to 19. The party has Chief Ministers in 14 of these 19 states. Congress, on the other hand, is now in power in only four states and one union territory. The victories in Himachal Pradesh and Gujarat has taken the total states where BJP has formed governments on its own or with allies after Prime Minister Narendra Modi assumed office in 2014 to 13. The states with BJP Chief Ministers are Uttar Pradesh, Madhya Pradesh, Rajasthan, Chhattisgarh, Maharashtra, Jharkhand, Goa, Manipur, Assam, Haryana, Arunachal Pradesh, Uttarakhand, and Gujarat. The party will now have a Chief Minister in Himachal Pradesh. The BJP is in power with allies in Jammu and Kashmir, Bihar, Andhra Pradesh, Sikkim and Nagaland. The Congress is in power in Punjab, Karnataka, Meghalaya, Mizoram and union territory of Puducherry.